Whatever has brought you to this site, then you have already made the first big step to making a change! 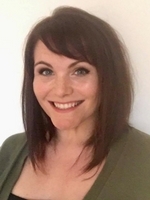 My name is Rebecca Nash and I am an experienced, insured, BACP registered Integrative Psychotherapist working from my Private Practice at Harley Street Therapy Centre in Bank, London as well as Online/Telephone. I offer you a safe, confidential supportive space to explore your difficulties and feelings. I am also an approved Psychotherapist with AXA PPP Healthcare. My approach is an Integrative one which means I draw on different ways of working that are bespoke and specific to what is best for you. To me everybody is unique, we all have our own experiences of life with all its traumas, conflicts, dilemmas, conflicts and aspirations. Life can often be difficult to talk, therapy allows you to make sense of these experiences no matter there size, and speaking to someone trained to really listen can help you express those feelings in a private safe space with someone who is trained to really listen. 1/ Call or Email me to set up an initial session. 2/ In the initial session whether Online or in person, we will talk about you, your background, and about what you would like to get out of counselling. It gives us the opportunity to get to know each other and explore counselling so that it is the right choice for you, with no obligation. 3/ If you're happy to continue we will arrange a second session either weekly/fortnightly. I also am a recognised therapist with AXA PPP health care. Fees per session is £80.